Credit and debit card fraud takes place every day in a variety of ways. You can’t always prevent it from happening, but you can create some obstacles and make it tougher for someone to steal your cards and card numbers. 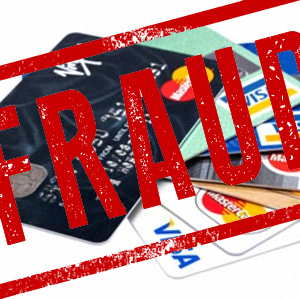 Card fraud is increasing at an alarming rate, especially international fraud. According to The Nilson Report, losses from worldwide fraud on credit cards, debit cards and prepaid cards hit $16.31 billion last year. We have also seen a significant increase in fraud over the last few years, and this escalating cost is absorbed entirely by the Credit Union. There are a number of ways we are working behind-the-scene to help deter card fraud. To help combat foreign card fraud, we have blocked all foreign transactions for members who do not live abroad. We certainly do not want to inconvenience members, so if you plan to travel outside of the U.S. and intend to use your HFCU card, please call us at 281.243.0500 or call us toll-free at 1.866.OUR.HFCU (687.4328) and we will code your account to temporarily allow foreign transactions. EMV technology provides a strong protection against card fraud. All of our credit cards now have this new chip technology that offers enhanced security that helps fight against card fraud and offers a more secure environment when using your card at point-of-sale terminals. We will be reissuing all of our debit cards this summer with the new chip as well. Chip cards utilize a computer chip embedded in the card to generate a one-time use security code. When you use your card to make purchases at a retailer, the chip communicates with the terminal, sending this one-time code exclusive to that purchase. The code cannot be used again, making it nearly impossible for your cardholder data to be stolen and counterfeited. Our card fraud prevention service will send you email and text messages alerting you immediately if suspicious transactions occur on your cards. If we cannot reach you by email or text, we will continue to call you. Incorporating these security measures can go a long way in helping to keep your cards and card numbers safe. Our multi-layer security works to safeguard your confidential information, and we will remain vigilant in protecting it.